Happy New Year and welcome to the latest newsletter from Oxford College of First Aid. Heyfordian Travel operates a fleet of over 60 coaches, manned by experienced professional drivers and with an equally dedicated support staff. Heyfordian Travel have decided to enrol all of their drivers on to OCFA's Emergency First Aid At Work For Drivers courses. As Heyfordian Travel work with many schools and young people, we have included a module on paediatric first aid as well. "Heyfordian's highest priority has always been the safety of our passengers," says Jeremy Smith, Heyfordian's Managing Director. "We were the first coach company in Oxfordshire to install passenger safety belts on all of our coaches, and we are delighted to be sending all of our drivers on OCFA's Emergency First Aid At Work For Drivers courses." All professional drivers will also be aware of the new EU Directive that requires PCV and LGV drivers to complete the Driver Certificate of Professional Competence (CPC). From September 2013, PCV Drivers who are caught without proof of compliance risk on the spot fines and a potential investigation, which may result in the loss of their vocational licence. From September 2014, this directive will also apply to LGV Drivers. OCFA's specific course not only helps professional drivers achieve their Driver CPC qualification but also equips any driver with the necessary first aid skills that they may need in a vehicle emergency. These courses are JAUPT approved. 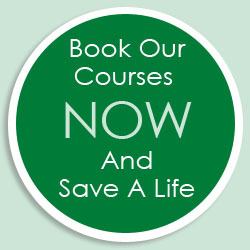 Would you like your professional drivers to attend our Emergency First Aid At Work For Drivers courses? "Hi Jane, I just wanted to pass on to you what a very successful session it was this morning. Viv was brilliant and the Mums really enjoyed it and her! Thank you so much for organising it." Last month, we discussed the need to comply with HSE Guidelines. This month, we are focusing on insurance. Insurance companies are businesses and, if their conditions of the insurance have not been met, they may subsequently refuse a claim. For example, when a vehicle's MOT expires, this may automatically invalidate the insurance - as having a roadworthy car is usually a condition of motor insurance. In a similar way, various business insurances involving both employees and members of the public will have conditions attached. In particular, they may expect your organisation to comply with all Health and Safety guidelines, have robust procedures in place, and to have conducted the relevant risk assessments. Failure to prove that you have sufficiently complied with the requisite health and safety practices could, in certain circumstances, invalidate your insurance and, should a serious event occur resulting in injury or worse, this could prove catastrophic for your business. We can put you in touch with an independent insurance broker to check over your insurance policies but also we recommend that you ensure that you are completely up to date with your first aid emergency training at work. This month's Hints and Tips is about treating people suffering from the effects of severe cold. Hypothermia occurs when body temperature drops below 35°C (96°F). A great way to spot the symptoms of hypothermia is to watch out for fumbles, stumbles, mumbles and grumbles. These symptoms may demonstrate a gradual reduction in the coordination of muscles and movement and a falling level of consciousness. The basic principles of treating of hypothermia are to stop heat loss, to preserve the heat the person still has, and to provide body fuel to generate more heat. If a person is still shivering, they can warm themselves at a rate of 2°C an hour. Replace wet clothes with dry. Provide food, initially as hot liquids. Carbohydrates provide a rapid source of energy and fats provide a prolonged source of fuel. Add warmth with a fire or heater, or by body-to-body contact. N.B. Severe hypothermia needs urgent medical attention - call 999. Congratulations to Les Gardiner from Oxfam and to all of our other correct entrants, as he correctly answered that you would use a triangular bandage to form a sling. "Which famous chef created the restaurant Fifteen to help disadvantaged young people?" Email your answer and contact details to Jane at: info@ocfa.co.uk and we'll draw one winner from the correct answers on Friday 7th February 2014.